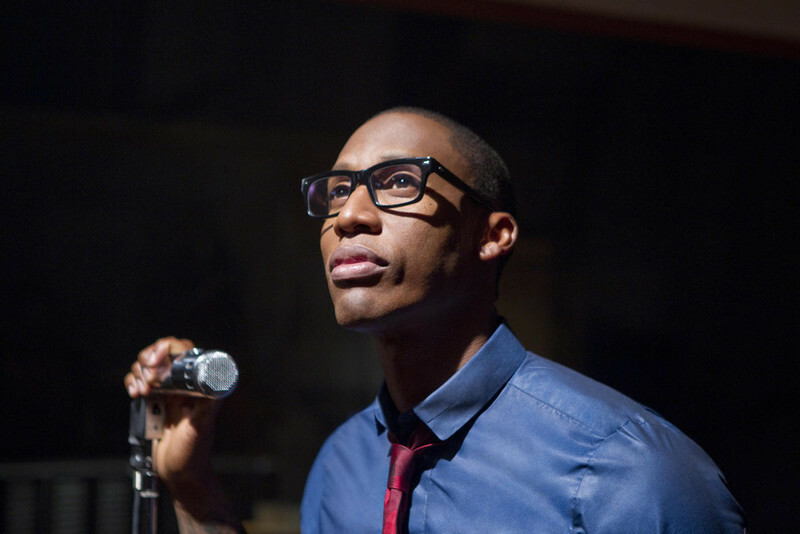 For nearly 30 years, Raphael Saadiq has been churning out some outstanding, black music. He first started as the frontman for the West Coast, R & B group Tony! Toni! Tone!, churning out hits like “The Blues,” “Feels Good” and “If I Had No Loot.” He then went on to be both a solo artist and a producer for other artists such as D’Angelo, Whitney Houston, Joss Stone, The Bee Gees, Q-Tip, Lionel Richie, etc. Just recently, he served as the executive producer for Solange Knowles’ chart-topping album, A Seat at the Table. These days, Saadiq has been making moves in the film and television industry. He’s a composer for "Underground," the WGN slave drama that uses contemporary songs from such artists as Kanye West and The Weekend, and "Insecure," the HBO comedy from Issa Rae, star of the webseries "Awkward Black Girl." (Knowles also serves as a music consultant for "Insecure.") But that’s not all—Saadiq can also be seen performing tunes in the pilot episode of "Luke Cage," playing the musical talent at Cottonmouth’s Harlem nightclub. RogerEbert.com recently called up Saadiq, 50, and talked to him about his new role as a TV composer and how does he like being seen and heard all over the tube. So, let’s start with the obvious question: What made you jump into the television-composing field? I mean, it was always something that I always really liked and always looked into. I knew, one day, I would have more time to do it and I would try to get involved with it. I guess one of my real starts was working with John Singleton on "Boyz n the Hood." I did a song for John, and he never sent me the clip of what I wanted. It was a scene with Nia Long in it, and he told me it was a love scene between her and Cuba Gooding, Jr. He just gave me the scene and I wrote this song for it, which ended up being one of my first solo songs. But it just didn’t have my name on it—I had to put [Tony! Toni! Tone!’s] name. So then, later on, he sent me another clip from "Higher Learning." I’m sorry—he didn’t send the clip. He told it to me over the phone, and he just told me the name of the character was Deja. He was like, “You should score a film. I want you to score one of my films.” But, of course, at the time, he had other people scoring for him. He told me I would be good at it, so then, I really started looking into it after that a lot, and I knew one day that I would get into it. But I’ll say John Singleton just kind of read my mind one day and was telling me that I should score a film—or television. You’ve contributed songs to movies and TV shows in the past, but you didn’t get fully immersed into scoring until you composed the score for Kasi Lemmons’ gospel movie musical "Black Nativity." How did you get involved with that? Three years later, you’re composing music for not just one, but two shows. First, how did you get involved with "Underground"? I was up for it. This time, I had an agent and everything. And, then, I had heard about it, and I was just up for it like everybody else. A friend of mine, Laura Karpman, which is a partner of mine who I score with on some films, she came to me and said, “We should do this.” And I was really into the project. There was other people who was up for it, and they were really into the hip-hop. Misha [Green, "Underground’"s co-creator] was really into hip-hop and she was really into Kanye [West] also… So, I just sort of jumped in and just kind of—I felt it was a great piece. It’s a great story, and I’ve always loved putting music to cinematography. There was a lot of directions I could go with "Underground." You’ve worked with John Legend on the score, and the show has gotten notice for using contemporary music in the soundtrack. How did that anachronistic, musical tone come to be? I think it was more like a team decision between Misha and John. Misha really has a great vision of what she wanted to do, and John does too… So, I think they kind of came together to pick, you know, songs like The Weeknd’s [“Wicked Games”]. But I think they wanted to make sure, like, their audience wasn’t just watching another piece that was just about slavery. It was more about the lives that these people were living—you know, their personal lives. It wasn’t just like any other slave piece. I think with that, they wanted to also put music in that you would hear today, saying this would sort of match their life or not match their life, to some people. It probably confused people to hear different music, you know: “Black Skinhead” by Kanye, I thought, was a great piece. 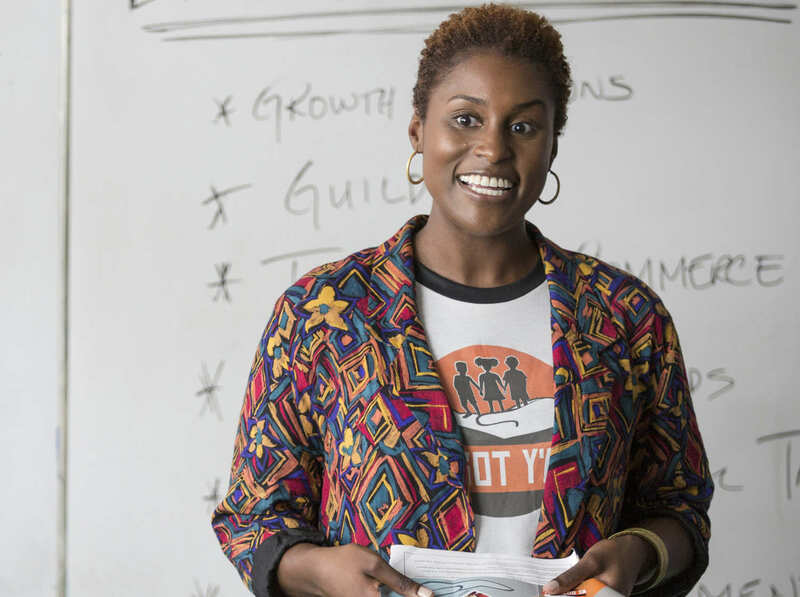 Now, let’s slide into HBO's "Insecure." How did you get involved with that? Well, Melina [Matsoukas] is the director. She’s, like, the main girl over there with Issa. So, Melina actually got me involved. That’s how I really got involved with Insecure. Solange just happened to be a consultant for the show, and we were working on the show. So, that’s how we sort of met—we met through Solange. How is the relationship with you, Knowles and Rae on "Insecure"? Is it similar to the relationship you have with Legend and the showrunners on "Underground"? Yes, it’s sort of the same thing. I’ve been fortunate to work with people that have a really, really great vision, and Issa Rae has a vision, from her show before that. She just has a very vivid imagination. So, the music is basically based on a West Coast sound, where she’s from. So, in between that, I think Solange is bringing other flavors and other colors to match what Issa Rae liked, and that’s how she did it. And I work with Solange a lot, so I would always hear music. And that’s how I sort of based some of the things I did, off what she would say or we would play something and Melina would say, “We like this record, but can you beat that?” Then, I would basically needle-drop and change into what I think would fit. Sometimes, you just have to take chances and do something totally opposite. And you take it back to them and, then, you hope for the best—hope that they’ll like it. Sometimes they like it, sometimes they don’t. Then, you have to go back to the drawing board. So, that’s the dynamic between myself, Issa Rae, Melina and Solange. That’s how it works. So, you’re working on these shows. Then, I turn on Netflix and I see you performing in the pilot episode of "Luke Cage." How did you get involved with that? Did your former Lucy Pearl cohort/"Luke Cage" co-composer Ali Shaheed Muhammad rope you into doing it? And, so, I ended up writing a song called “Angel,” like maybe two days before I filmed it. And I liked the hook or something I gave to them, and Cheo [Hodari Coker], the writer and showrunner, he liked “Angel.” And he also just took “Good Man” off the [Stone Rollin’] record. But that’s definitely how it transpired, through Ali, Adrian and Cheo really trying to spread the love. “Good Man”—the song made a lot of sense to be in the show. The Cage character is a guy that can turn bad if he needs to, and that’s what that song is about, really… And “Angel” was more of what some of my album, my new album, sounds like. So, I’m glad it got a chance to get some shine inside of "Luke Cage." And I always wanted to see and hear my music with those type of visuals with somebody, you know, like a mob movie, a mafia movie. There’s always somebody getting shot and killed. [Laughs] So, it was kinda cool listening to “Angel” and “Good Man” while there was this huge murder scene going on in the back. I always wanted to score something like that. It is this great time in television when African-American artists and performers like yourself are getting more opportunities, both in front of and behind the camera. How do you feel about TV being currently black and proud? I mean, I just think that it’s just that time, you know. Black television and black movies have always been something great, a great part of history. There’s always been great cinematography, great movies. I love a lot of old movies—I mean, I loved "Which Way Is Up?" by Richard Pryor and "48 Hrs." and "Come Back, Charleston Blue." I like movies like that. I like a lot of different types of movies, but black films and black television can make for good TV if you get quality people, quality directors and quality actors. We just look really good on television—when we get the right collabs and the right people. And I just feel like we do have it. We have it with actors. We have it with music. We can really be aggressive and have new ideas and try things and use things from the past. Like, I love Quentin Tarantino’s films a lot. He’s one of my favorite directors, but he adds a lot of black texture to his films. As far as music, he’s a guy who’ll make "Jackie Brown" and play Bloodstone inside of a Seville. We need to be doing that a lot more. We need to be given more opportunity to do that, and I think we are getting that now.